We were always taught that Yoga is all about the body parts and bending them and there is nothing much wrong with it. The classic form of Indian Yoga that is in existence now will make you realize the vitality of each body part and if you’re someone who loves to know more about the core Yoga; this Yoga form is stretching arms wide open for you. The Ashtanga Vinyasa Yoga, also known as the Ashtanga Yoga across the globe was popularised by the famous K. Pattabhi Jois in the 20th century which is now evolved into the modern day Yoga. 1 What does Ashtanga mean? Ashtanga as the name says gets translated to ‘Eight limbs’ of the body with eight branches in which Yoga (Physical activity) is one branch. 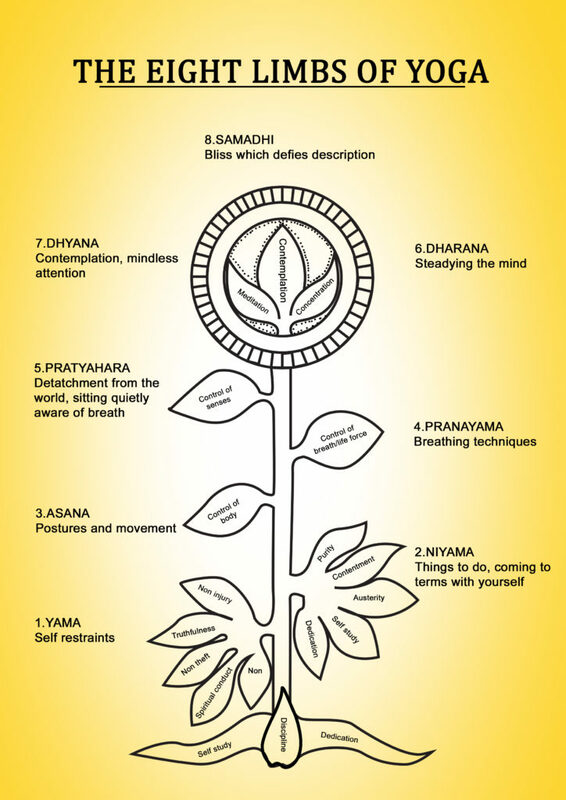 The rest of the branches include Pranayama, Mediatation etc. After Pattabhi Jois, his grandson Sharath Jois also encouraged the practice of the Eight Limb Yoga. The first two out of the eight limbs are Yamas, Niyamas followed by the third and fourth limbs; Asana and Pranayama and all these four are always kept in conjunction with each other. It is mentioned that Sri Pattabhi Jois started his studies on Ashtanga Yoga back then in 1927 when he was just a 12-year-old kid and after extensive research for 13 years; he has finally established the renowned Ashtanga Yoga Research Insititute in 1948 to teach Ashtanga for people followed the Yogic Sutras as mentioned in the Patanjali. According to Pattabhi Jois, he has learned Ashtanga from Sri T.Krishnamacharya (The Father of Modern Yoga) who learned it from a text called “Yoga Kurunta” written by Vamana Rishi. This text was said to be imparted to Krishnamacharya in the 1900s by his teacher, Sri Yogeshwara Ramamohana Brahmachari and then was taught by him to Pattabhi Jois. The text had all the asanas as well as the vinyasas listed in it in a sequence to form the system of Ashtanga Yoga. The original text is said to be destroyed throughout the years by ants, and therefore, we can’t verify these assertions. The speculation arose as this text was not mentioned in the two books Yogasanagalu (1941) or the Yoga Makaranda (1934) written by the Krishnamacharya. According to Manju Jois, another son of Pattabhi Jois; these sequences are believed to be created by Krishnamacharya himself and few evidences can be spotted if one goes through his books. The term ‘Power Yoga’ is generically used to refer any vigorous Yoga that has been derived from the sequences of Ashtanga Yoga. There is historical evidence that the Ashtanga Yoga postures also contains various exercises by the British Gymnasts and the Indian wrestlers from the past denoting the power. As Power Yoga is a yoga form created by Bryan Kest in the 1980s; it was later spun by Baron Baptiste before the branding has been done. Ashtanga Yoga is almost like a synonym to the Power Yoga but the practitioners of Ashtanga Yoga including Pattabhi Jois were disappointed with the invention of Power Yoga, and he wrote a letter to the Magazine known as ‘Yoga Journal’, calling it an “ignorant bodybuilding” phenomena. Related to the city Mysore, the style is named after the city as it is where Sri. Pattabhi Jois has been taught the Ashtanga Yoga. The practitioners are expected to memorise a routine and practice it every day in the same room without being led. The role of the teacher only includes providing assistance in the postures. However, two classes in a week are allowed to further improve the Yoga where the teacher will practice the same type of Yoga along with the students. The Ashtanga Yoga initially begins with a set of five repetitions of Sun Salutations (both the A-type and the B-type) each followed by the standing postures. The practitioner begins with one of the below mentioned series and closes with the closing sequences. Before practicing the Ashtanga Yoga, Sharat Jois believes that one should master the poses. On the contrary, Manju Jois says that students can practice the poses in a non-linear way saying that his father has taught the students at Mysore in a similar way. This type of teaching involves variations in posture with the focus on breathing and alignment. While Sharath's students doesn't adopt any variations are restricted to the linear style and usually are against the digital form of teaching; Manju supports it. It is believed that most of the Ashtanga Yoga postures are taught by Sharath as they progress into the second generation few changes were made even by him. There's a wide range of debate when we talk about the tradition of Ashtanga Yoga. Nancy Gilgoff, a famous practitioner, says that there has been a lot of difference between the Ashtanga Yoga that he has been taught and the Ashtanga Yoga that is being practised now. She says that the vinyasa is now converted into 'half vinyasa' and that the seven different postures of the standing sequence are left out by Pattabhi Jois. Also, in the intermediate series, few asanas were left out like the Partivritta Parvakonasana, Virabhadrasana, Utkatasana and the Parivritta Trikonasana. Translated into three different places of action, posture (asanas), vision (drishti) and breath (pranayama); Tristhana is very important while you practice Ashtanga Yoga to keep everything in conjunction. Pattabhi Jois in his book, 'Yoga Mala' recommends that each pose should be held until a person completes atleast five to eight breath cycles as long as possible. The instructions given for pranayama include 'rechaka (exhale)' and 'puraka (inhale)'. Mula Bandha: Root lock at the pelvic level. Uddiyana Bandha: Abdomen lock by drawing the abdomen to two inches below and right at the navel. Jalandhara Bandha: Throat lock that is usually achieved by the chin lowering while you raise the sternum. Drishti, the Sanskrit word for vision is where you keep your eye on. There should be a prescribed focus point in each asana of Ashtanga Yoga. There are total eight Drishti points in Ashtanga Yoga; nose, navel, between eyebrows, hands, thumbs, up right, up left and feet. Vinyasa, the breathing system is vital in any asana. Without vinyasa, it is almost a waste to perform asana. The entire purpose of vinyasa is to internally clean your body and to increase the heat in your blood. By boiling the blood, it gets thin and circulates freely through the body. Thick blood is usually considered as dirty and causes various diseases in the body. By making it thin, you're removing the impurities and toxins from it. On the other hand, the Mantras are used to maintain the focus while performing both asanas and vinyasa. Ashtanga Yoga has benefits that extend beyond the fitness that most of us crave. The combination of stretching along with the heat generated inside the body allows the body muscles to soften and therefore bend in order to change the sculpture of the body. By stretching deeper, you can cleanse the entire body as you produce immense heat inside that also enhances the metabolism rate, increase the circulation, improves the coordination as well as concentration. A typical of the system of Yoga as it is; it involves progressive series of poses that synchronise the breathing with the physical activity. This process induces the heat inside the body, causing sweating which leads to the detoxification of all the body organs. The primary series of the Ashtanga Yoga has poses that are known for the therapeutical healing. Therefore, by practicing Ashtanga Yoga, one can work on the alignment by realigning the spine, detoxifying the body and thus can build stamina, strength and elevate the body's flexibility. The second and the intermediate series of the Ashtanga Yoga, also known as Nadi Shodana gets translated as the purification process of nerves. Therefore, by practicing these poses; you can both strengthen and clean your nervous system by strengthening the subtle nerve energy channels inside the body. Ashtanga Yoga is in existence for a few years now, and many popular Yoga forms have emerged from this form during the years. However, it is one of the ancient healing practices and has many secretive techniques indulged in it that are being passed down to the instructors. Therefore, the benefits that one can seek from this yoga type are relatively higher than any other modern day yoga form. A good workout for the human without any doubt, it also raises the heart rate to the healthiest level, burns calories from your body at an adequate rate and will help in keeping you physically active and fit. Especially women who want to lose weight intensively can practice this Yoga form for better results and by practicing it for few weeks, one can witness dramatic results in the body. Every good thing has few drawbacks and Ashtanga Yoga also has few. One of the most reluctant things about the Yoga is that it doesn't allow you to proceed to the succeeding series of poses until unless you have mastered the preceding series and therefore it will take usually longer time for an individual to go to the last series of the Ashtanga Yoga. 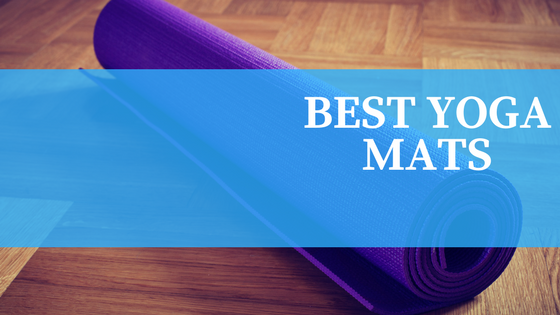 Even though it is not as powerful as Hot Yoga or Power Yoga, it indeed is tedious and therefore is not usually recommended for light hearted people or pregnant women. Therefore, people who are looking for slower and relaxed yoga styles should keep a distance from this Yoga type. Wrapping up; Ashtanga Yoga also have many emotional and psychological benefits that make the practitioners get hold of the non-reactive state of mood where relaxation is the main ingredient. By practicing the Ashtanga Yoga, people tend to suffer less from the conditioned existence. They eventually start transforming the emotions rather than completely letting them go through which they develop a sense of space in their lifestyle. The whole process replicates a different level of intellect in people who practice Ashtanga Yoga by developing an openness to oneself and also to the surroundings by reducing the chaos inside the body. Therefore, if you think you can deal with an arduous yoga routine, Ashtanga Yoga is the best of the bests. Get set, already. 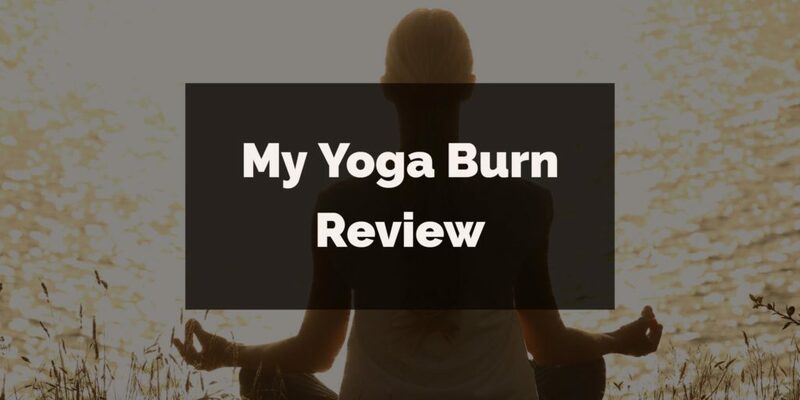 « My Personal Yoga Burn Review – Zoe Bray Cotton – Updated for 2018!